There are a whole bunch of manga mystery stories. Here are a very small selection that I think you should check out if you have the chance! This is wildly out of print, but because most of the stories are self contained within each volume, it’s well worth picking up if you find a volume here and there. This is essentially a series featuring the young detective Kindaichi who solves murder mysteries; very much scenarios like you’d find in Agatha Christie novels. Kindaichi is an unassuming youth, but has great powers of perception. The stories are more about the mysteries, than they are about the characters, so if murder mysteries are something you like to read I would definitely recommend checking this one out. Published by Tokyopop. This is a recently in-print manga, so you should still be able to get your hands on it. This is a beautifully illustrated josei series about a novelist who has some relationship to a young woman who has recently commit suicide by jumping to her death. The mystery is subtly woven in an art house style manga. After you’ve read through it and revealed all of the secrets, you will definitely want to pick it up again. This is one of those mysteries that you get more out of every time you pick it up — which says a lot for a mystery! Definitely would recommend checking this title out. Mature Content. Published by Vertical. This is exactly what it sounds like, a series about a “miss” Holmes. This miss is the niece of the famous detective, who like her famous uncle has a nimble mind and keen observation skills. This is normally a type of series that I don’t like, so I was surprised by how much I enjoyed it. For one, the art in it is beautiful! I would recommend it for that alone. But also, this takes on the concept that miss Holmes is not her uncle’s helper, but her uncle’s competition. She is a tenacious child who wants to best her uncle at solving crimes. They often appear simultaneously at the conclusion, but have come to the correct conclusion in a different way. It’s a delightful read, but recently out of print, so pick it up when you have a chance! Published by Seven Seas. Funny, how despite being the person who sets up these themes, they seem to spring up on me! Ack! Today’s #MangaMonday recommendations are for manhwa. So, not manga at all… this really should have been called #ManhwaMonday. Manhwa in its simplest definition are comics coming out of South Korea. There’s more to that definition, but I’ll talk about that at some later point. I actually have a pretty size-able collection of manhwa in my collection, but it’s something I pick up rarely to read. I think I only read 2 or 3 titles last year. And, I rarely buy manhwa. I used to pick it up because I didn’t notice the difference between it and manga, plus it was published and promoted as manga… so as a new reader, the difference wasn’t clear. But now as a seasoned reader, I will say that because manhwa can look so much like manga that it actually shows its differences more clearly. It comes from a completely different country, so of course the stories, art, scenarios, and iconography will be different. In my opinion, this difference is one of the main reasons you or I as a manga reader should be reading them. It challenges, and hones your understanding of another comic form. Pig Bride by Kook Hwa Huh and SuJin Kim. This is a short 5 volume manhwa that I would equate to a shojo fantasy romance. At the tender age of 8 a young boy, and son to a powerful family, finds himself lost in the forest. He is found by a girl in a pig mask, who’s mother threatens not to let him leave if he doesn’t marry her daughter. He is forced into this marriage, and then sent back to his family. But, at the age of 16 this girl which he remembers from his dreams now has appeared and is ready to start their married life together. 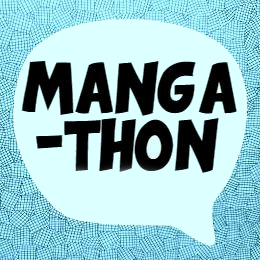 Today’s topic is “Playing Games in Manga.” It’s a popular and frequent topic in manga. Not only that, it is also a popular hobby for many manga readers. I grew up playing games. And though, I wouldn’t call myself a gamer, I still end up playing games with friends and family on an almost weekly basis. As for video games, I think my first experience was when my father bought me my own game for the Atari 2600. Which game? Only the Best game ever!! When you think about shōnen manga, what series comes to mind?